Ryan Parrish is a Design Project Manager at Miller Consulting Group, Inc.. He received his A.S. in Mechanical Engineering Technology from Purdue University in 2001 and worked as a Product Design Engineer for Production Handling Systems, Inc. before eventually becoming a Senior Design Engineer for Capital Industries Inc., a turn-key specialized equipment manufacturer, in 2009. His passion is new product design and development. Ryan has participated in and led design teams on a wide variety of custom design projects throughout his 15-year career. A few notable examples of his work include robot-interfaced rack stacking and conveying equipment, automated food production inspection machines, motorcycle and automotive display turntables, small-aircraft flight-simulator framework and fixtures, and even custom covers for in-ground pools and spas. Ryan has also had the pleasure of developing performance parts for recreational vehicles as well as working on functional enhancements for heavy loading equipment. His most recent projects have involved the design and development of made-to-order medical surgical devices and implants for both established and emerging medical companies. Ryan uses his diverse design background as a corner-stone to effectively manage new design projects from concept to production for a variety of different clients. He is proficient in multiple 3-D CAD packages and is proud to be a Solidworks Certified Professional. 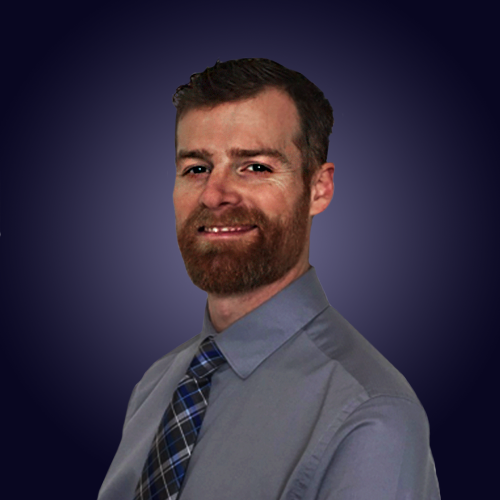 Ryan enjoys working one-on-one with each client and takes pride in exceeding their expectations on each new project.